Providing advanced HART Communication products, now in our 15th year! With our Smart Communicator software and a HART modem, you can use your PC, Tablet, or Smartphone as a full featured HART communicator at a fraction of the cost of a handheld communicator. Windows, iOS (Apple), and Android are supported for our HART communication products providing you with maximum flexibility. Reach out to our dedicated team if you have any questions about our reliable HART solutions. Nice product. Easy to use! Searched on the web and decided to take a chance with getting something to do HART on my PC instead of having to lug around a HART communicator. We are a Systems Integrator that performs field commissioning all over the world. My main expertise is PLC programming and field commissioning. I have to lug around cables, tools, laptops, etc. and the DevCom2000 software and HART modem work out well for me when I do checks from devices back to the PLC. Since traveling with tools and equipment by airline is a hassle these days, this system has filled a big void without requiring additional baggage. Your service is very good and your ability to make the customer feel like they are important goes beyond most of the vendors that I deal with. A lot of the devices I check out are not in easily accessible areas on the skid. That makes the HART Bluetooth modem especially appealing. I can climb up to the device, connect it up and it enables me to keep my computer on the ground and not in awkward positions. Since my laptop is my livelihood, keeping it safe, sound, and secure is very important. Used every day since purchase. Very useful! The system has been one of the best field service aids that I have purchased. Previously we had to share HART communicators and we only had two. There are six people in our organization that do the majority of field work, so we were priority shipping the communicators all over the country. The DevCom2000 software and HART modem bring the system price to the level where everyone in a field service organization can have one. Great product, great support! My company has several of the systems now and they become a HOT item when going out to the field. It has saved us many hours of checkout/startup time. I want to thank ProComSol because the factory support I have received has been outstanding. This is one of the things that I like to tell everyone when showing the system because good factory support is becoming harder to obtain. Keep up the good work! 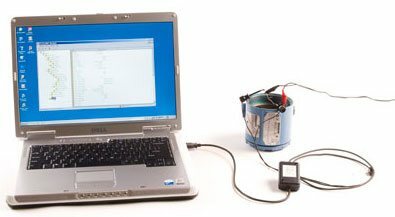 ProComSol, Ltd is a leader in the design and manufacture of advanced, cost-effective, and reliable HART communication products for the Process Control marketplace. We are dedicated to providing the best HART products on the market, helping our customers to connect, configure, and document their essential operations. Want to learn about some additional benefits for our HART solutions? Check out our White Paper, Advantages of a PC Based HART Communicator. Our product offerings for process control instrumentation includes HART Modems and Smart Communicator Software for Windows, iOS (Apple) and Android that provide complete monitoring and configuration of your HART instruments. We now also offer DD Design and Development services. We service many industries in need of HART compatible products, including oil and gas, refining, chemical and petrochemical, power generation, water and waste water, pharmaceuticals, pulp and paper, mining and metals, and food and beverage. Across all of these vital industries, we are known for our excellent service and support, and all HART communication products are backed by a 1-year warranty. To get a look at what some of our customers have to say about ProComSol, be sure to visit the testimonials from our quality survey. If you’re ready to start browsing our variety of process control instrumentation products, our Online Store is convenient and easy to use. You can also download an Offline Order Form that can be faxed to us at 216.221.1554 or emailed to us at sales@procomsol.com. Contact us today for a 10-day software or app trial. We look forward to hearing from you.